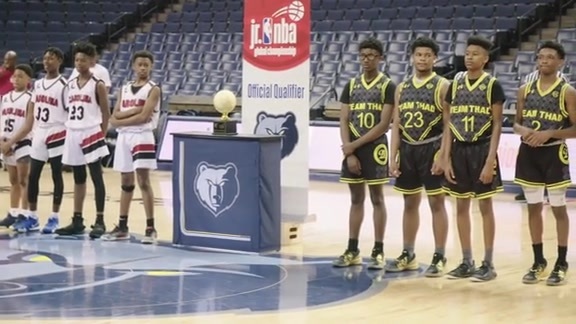 Memphis Grizzlies Youth Basketball Coach of the Year Rosalyn Knox has been named one of eight semifinalists for the National Jr. NBA Coach of the Year Award. Knox, aka “Coach Roz,” was the third-ever honoree to be named Grizzlies Youth Basketball Coach of the Year. As a semifinalist, she advanced from a pool of 30 coaches, each representing an NBA team, and now qualifies to become one of three finalists that will receive a grant to help support her local youth basketball organization along with a free Positive Coaching Alliance training. If chosen to be a finalist, Knox will also win a trip to Chicago to attend the annual Jr. NBA Youth Basketball Leadership Conference where the Jr. NBA Coach of the Year winner will be announced. The top three finalists are determined based on a fan vote and an executive panel comprised of ESPN NBA Game Analyst Doris Burke, Retired WNBA Champion Tamika Catchings, 13-year NBA veteran Jason Collins, NBA Executive Vice President of Basketball Operations Kiki VanDeWeghe and other significant figures in the sports industry. Fans can vote for Coach Roz on Twitter with #JrNBACOYMEM through Wednesday, April 17. Retweets will count as votes, and fans are able to vote an unlimited number of times per day. An 11-year veteran of the United States Navy, Knox currently serves as the Sports, Fitness & Aquatics Program Director for the Memphis Jewish Community Center. Within the past few years, Knox started a city-wide youth basketball league for girls, and has been coaching in the Memphis area for over two decades. Knox is heavily involved with Grizzlies Youth Basketball initiatives as well. Her gym frequently serves as a host for Grizzlies Basketball Camps. In addition, her basketball league participates annually in Junior Grizzlies programs, and she regularly attends the Jr. NBA Coaches Forums. Coach Roz grew up in Memphis, playing her high school ball at Memphis East before going on to play collegiately at Lane College in Jackson. Knox earned her M.B.A. in Health Care Management and her B.S. in Exercise Sports Sciences. She is a certified personal trainer and is also a USA Basketball licensed coach. 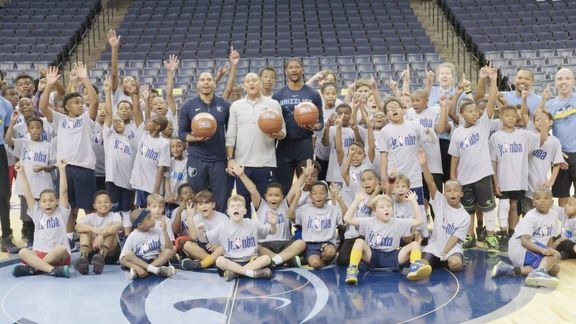 To learn more about the Coach of the Year initiative and about Grizzlies Youth Basketball presented by Nike, visit grizzlies.com/youthbasketball or follow @MemGrizzYouth on Facebook and Twitter.